Mmmm… Gravy! For the record, this is last night’s leftover gravy with the lid removed. Oh, and it was delicious! This entry was posted in Random Jibberish and tagged food, funny, photo by Dave. Bookmark the permalink. 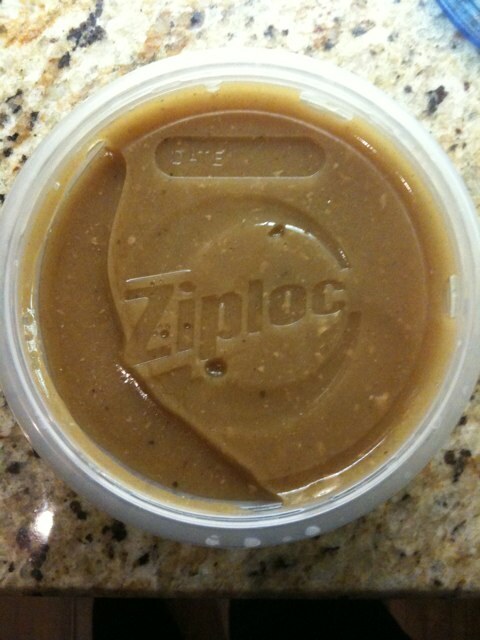 mmmmm, Ziploc Gravy. Can I get the recipe?